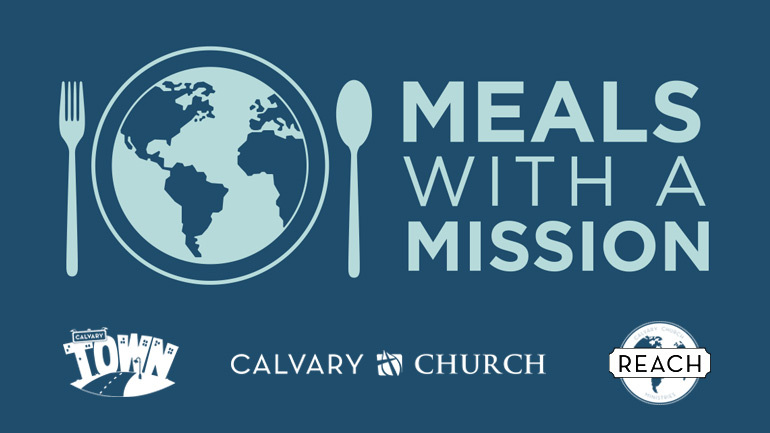 Our Family Ministries team is so excited to partner with Reach Global Ministries to bring together a bunch of elements that are truly better together in Meals with a Mission. · We value the family. · We value the family eating a meal together. · We value our missionaries. · We value developing the hearts of our kids to know and love our missionaries. · We value for our families to care and feel a responsibility for the lost people in the world. Think of this project as Blue Apron meets Calvary missionaries. Check back here for updates to this ongoing series!